(Free Press Release) No Gap Dentists Now Proudly Offers Dental Check-Up And Cleaning For Just $169 That Includes Dental Examination, Digital X-Ray, Scale And Polish And Fluoride. Melbourne, Victoria (newpressrelease) February 5, 2018 - A regular dental check-up is the must because they help keep the teeth and gums healthy. But most of people ignore the regular dental check-up because of the over-inflated dental fees. To make the dental treatment affordable and accessible for everyone, No Gap Dentists proudly offers dental check-up and cleaning for just $159. 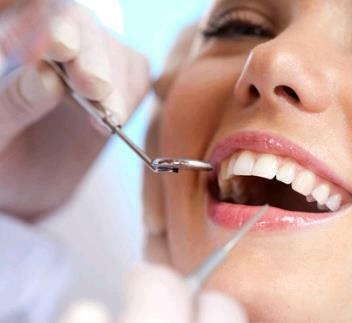 The service includes examination, digital X-Ray, scale and polish and fluoride. They also offer a No Gap payment option for patients with health insurance. The spokesperson also stated, "After 10 years of oral surgery services in Melbourne and requests from many patients, Dr Pinho is now proudly able to offer General Dentistry to all his patients at his already well known affordable fees. We are dedicated to providing you and your family with quality dental treatment at an affordable cost. We want you to have peace of mind that your teeth are looked after, without having to worry about the cost. Those 32 teeth need to last you a lifetime and we want to help look after them!" At No Gap Dentists, Dr Paulo Pinho works with a mission to provide the highest quality of dental care in a safe, comfortable, and calm environment. They are also committed to providing the most outstanding care for all dental problems, within an affordable price range. Apart from dental check-up and cleaning for $159, they also offer invisible braces for $1650, teeth whitening for $375, dental implants Melbourne $1500, wisdom teeth removal for $225 etc. Committed to personal and professional growth, Dr Paulo Pinho set the main goals to be high quality service at affordable fees to reach as many patients as possible in need for dental health. While addressing the audience, Dr Paulo Pinho stated, "We aim for fair pricing without compromising on excellence and latest technology. Our goal is to offer the lowest fees in Australia. Our dental fees and dental implants cost Melbourne are disclosed to patients up front at the initial of all our consultations and exams. No surprise bills at the end of treatment." He also stated, "We are proud to accept all private health plans through our HI CAPS machine and also offer payment plans for the majority of our treatments. Our success rate for all tooth implants Melbourne and dental health services is over 99% and is one of the best in the industry. Call 1300 320 881 and our team member will be able to help you get the right specialist in no time."